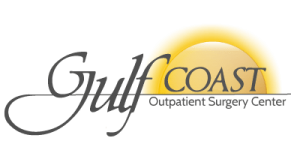 Dr. Graham grew up on the Gulf Coast and graduated from Ocean Springs High School before attending Emory University in Atlanta, GA for his undergraduate and medical degrees. He did his residency in Orthopedic Surgery at Washington University in St. Louis, MO and his fellowship in Spine Surgery at The University of Pittsburgh. He received Board Certification in Orthopedic Surgery through a rigorous subspecialty board exam in Orthopedic Spine Surgery. Dr. Graham treats all aspects of spine pathology including degenerative disc disease, congenital or acquired spinal instability and spinal stenosis. He has particular interest and skill in complex neck reconstruction for multilevel cervical spine disease. He also offers minimally invasive spine surgery and total disc replacement.